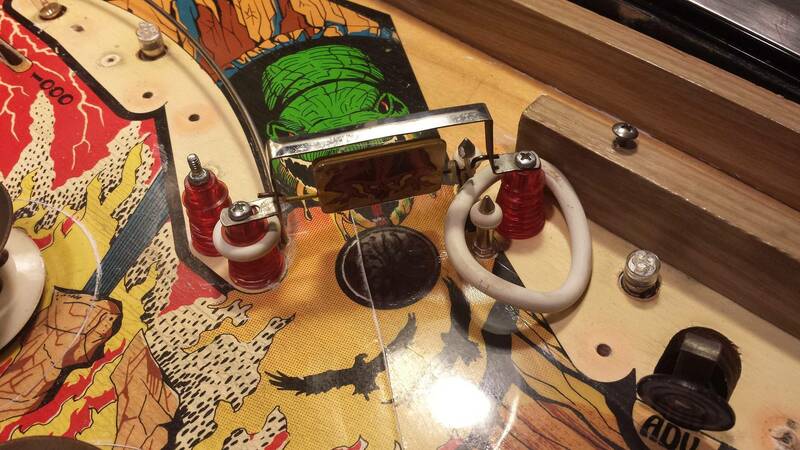 » Forum » Restoration » Playfield restoration » Gorgar stuck ball at spinner. » Gorgar stuck ball at spinner. Gorgar stuck ball at spinner. 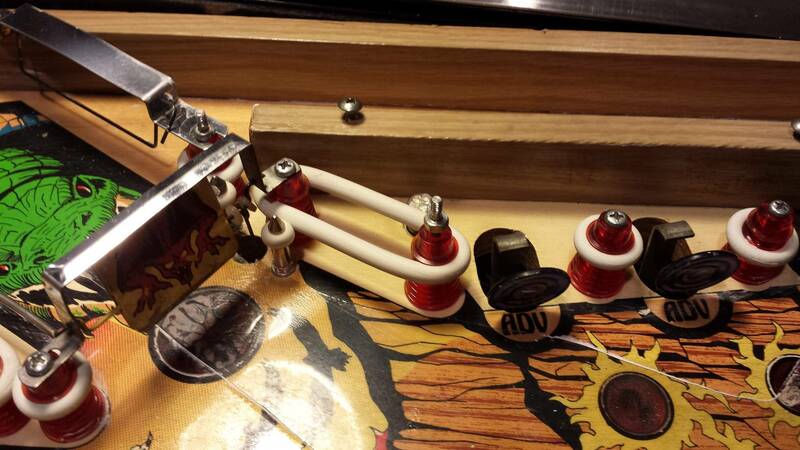 Does anyone have pics of the playfield around the spinner location. 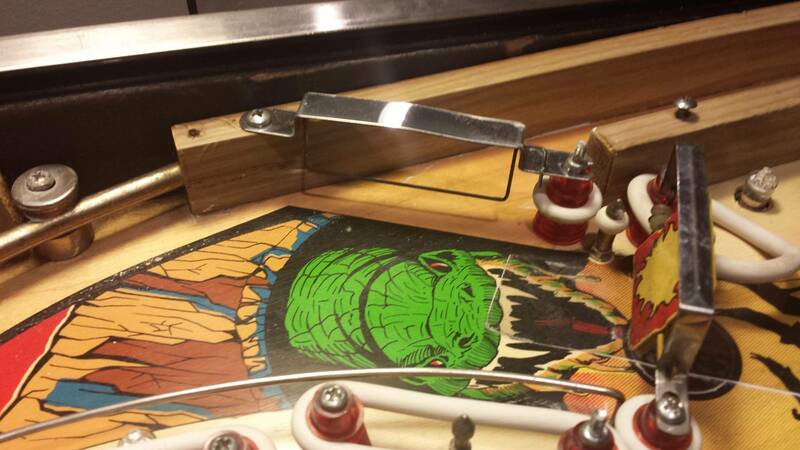 The problem that I,m having is when the ball comes down out of the spinner area it catches on the switch rod going through the playfield and gets stuck then I have to tilt the machine to get it out. someone had a paneling nail drove in the playfield to keep this from happening, I took it out because it didn't look right. Have you examined the orientation of the switch and spinner arm below the PF? Sometimes these types of issues are caused by a misaligned switch. The arm from the spinner must sit parallel with the switch blade, in its groove (if it's the same type I'm imagining). I read this thread's title in Gorgar's voice. Photos would help me. It seems like there is a bumper post missing or something.